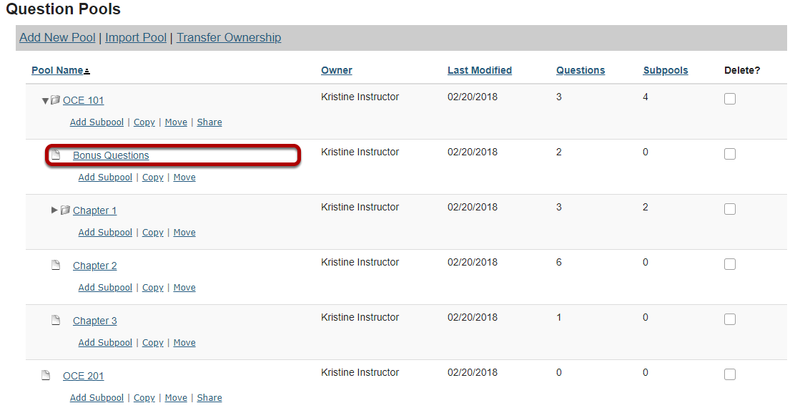 Sakai Guides and DocumentationAssessments and Grading AssessmentsHow do I add a question to a question pool? 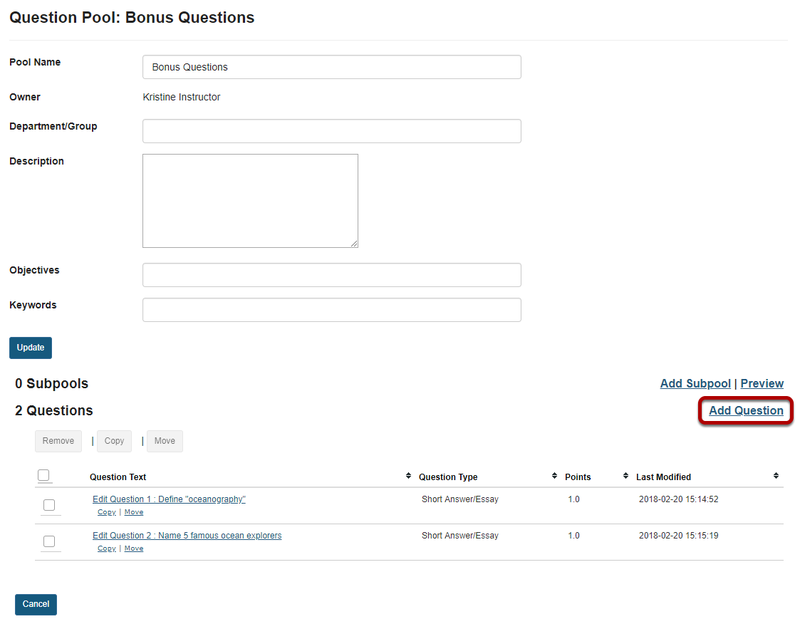 You will see the question pool details, and links for adding subpools and questions. 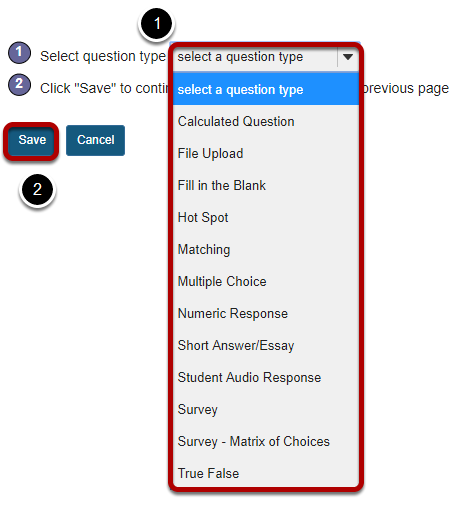 In the Questions section, click the Add Question link on the right hand side of the screen.